Maria Baez Kijac is an amazing woman. Her experience ranges from cooking shows on PBS to teaching at culinary schools to writing award-wining cookbooks to developing recipes for magazines to hunting down the best dishes to represent the cuisines she loves. I’ve known Maria for more than seven years now. She is certain that our meeting was fate. When we first met, she had already spent 15 years traveling and collecting recipes from all over South America, testing them and adapting them to North American kitchens, and organizing them for what would become an authoritative and widely acclaimed survey of South American cooking. However, she needed someone who could help with writing, editing, and testing. It didn’t hurt that I’d also traveled in, and loved, her native Ecuador. We worked together for more than a year on the project—a delightful period during which I learned a huge amount about the diverse culture and cuisine of our neighbor to the south—and got to sample a fabulous array of foods from all across the continent—amazingly tasty dishes that ranged from comforting to exotic. Maria’s recipes really are sensational. The result of Maria’s long and thorough work was The South American Table. Subtitled The Flavor and Soul of Authentic Home Cooking from Patagonia to Rio de Janeiro, with 450 Recipes, the impressive work boasts a foreword by Charlie Trotter and rave reviews on the back cover. It was an instant classic. 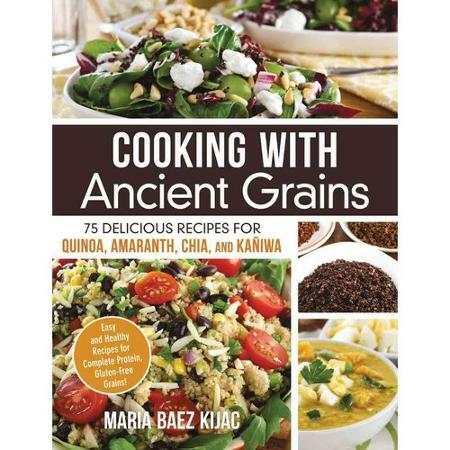 It was published in 2003, and was named the best Latino cookbook in the world that same year at the Gourmand World Cookbook Awards in Barcelona, Spain. The thing that brings this up to date is the announcement in October 2008 that the Gourmand World Cookbook Awards have named The South American Table “The Best of the Best”–the best Latino cookbook in the world for the entire 12 years the awards have been given (1996–2008). The wine-colored circle on the lower right hand side of the cover is the ‘Best of the Best” seal, which was added for the most recent printing of the book. Maria now has a blog, so you can find additional information and new recipes—stuff that might evolve someday into a new book. Maria puts a lot of work into each entry, so new posts only occur every few weeks. The link at right will take you to Maria’s blog. 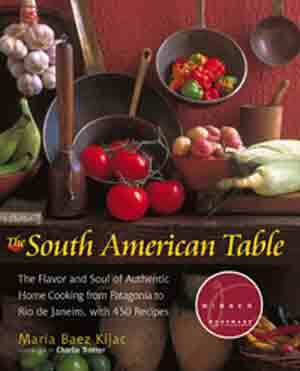 You can check out (and maybe order) The South American Table on Amazon, or look for it at your local library. Find out what it is already considered a classic.